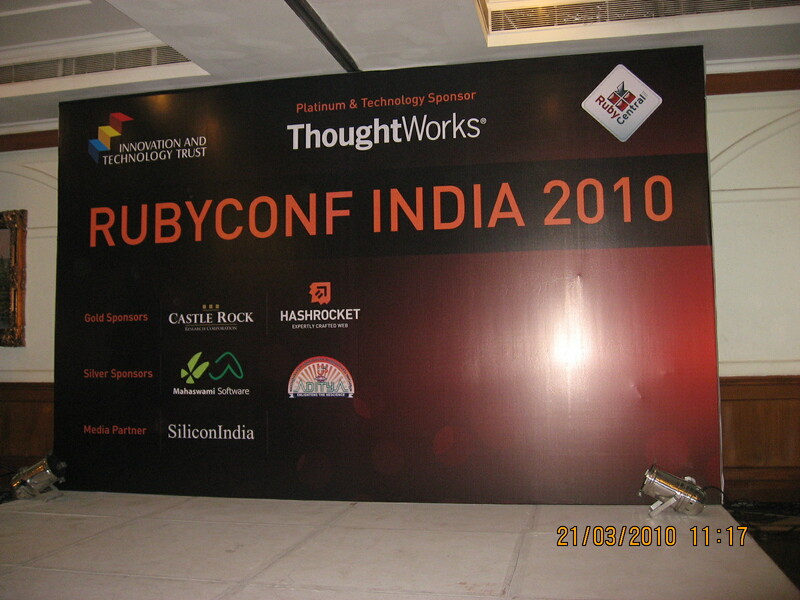 Feels good to be part of the first Ruby Conference of India, which was held in Bangalore on 20th & 21st March, 2010. And it feels all the more glad to see our company being one of the sponsors to this event. Having got so much from Ruby and the Open source world, this was a fantastic opportunity for us to give back something to the community. Got to meet and spend time with some special people whom I was looking forward to meet for quite some time now. 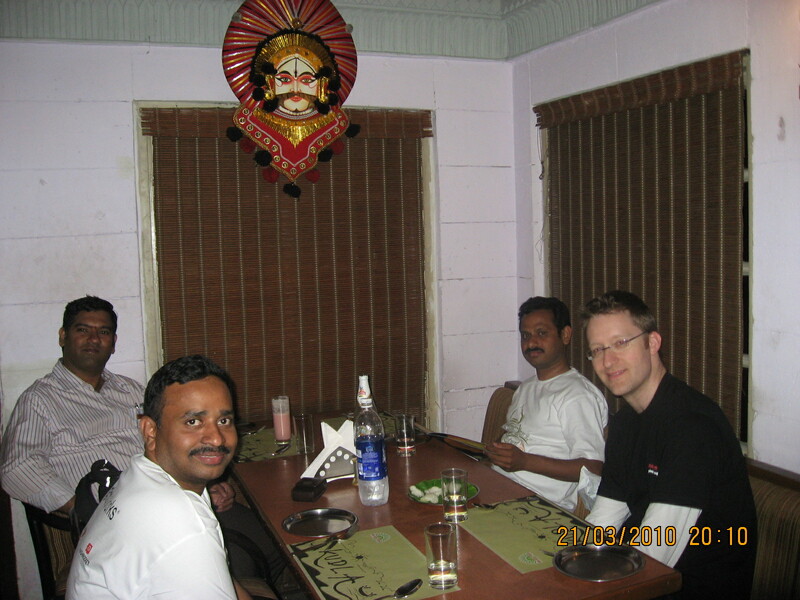 Got a chance to meet some of the top developers of the JRuby world – Ola Bini, Nick Sieger and not to mention Arun Gupta – lead developer of Glassfish. Being one of the developers who have used the combination of Glassfish, JRuby and Rails in our enterprise applications, Arun Gupta captured a short little video about our experiences on working on this platform combination. Check out the video here. The highlight of this event was the talk from the father of the Ruby Language Matz, who gave a wonderful talk via video conference from Japan. It was very special for Ruby developers like me.